Act NOW! 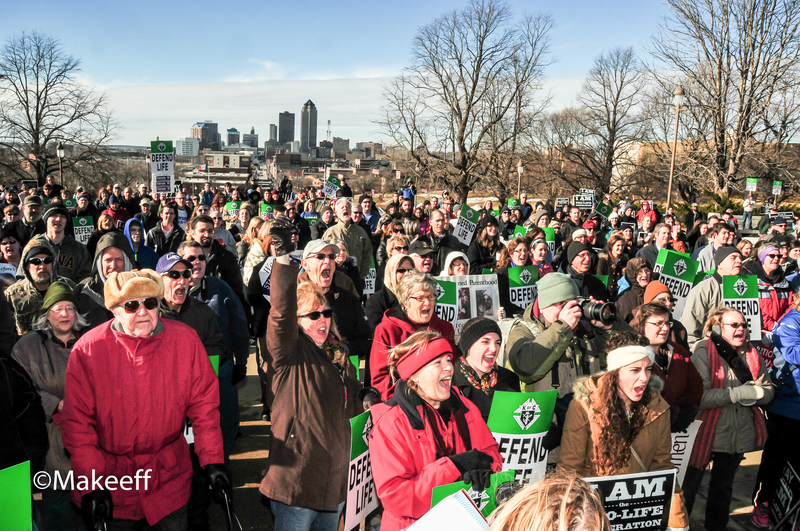 Saturday’s Midwest March for Life tickets are going FAST! Seats are going FAST for this Saturday’s “Roe v. Wade Effect” Lunch and Conference Program, immediately following the Midwest March for Life! There is no cost for lunch. A freewill donation will be taken during lunch. If you haven’t made your lunch RSVPs yet, please do it now here. 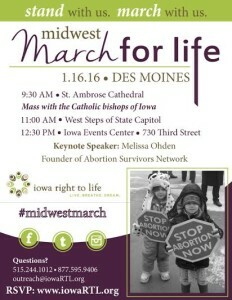 At the conclusion of the Midwest March for Life, we will be providing complimentary shuttle service from the Iowa Supreme Court Building to the Iowa Events Center for lunch. Return shuttles will be available following the lunch program and the break-out sessions. 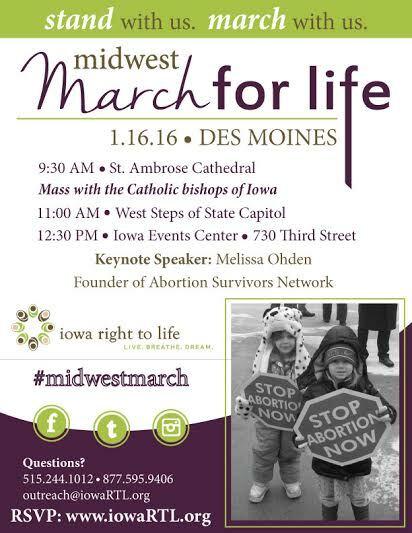 RSVP now to assure your seating at the Roe v. Wade Effect Conference Lunch and Program. View and share the event trailer! Download and share the event flyers in English or Spanish.